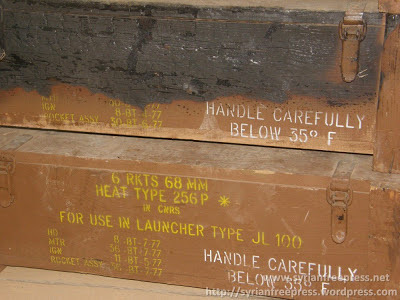 The rocket, also featured in this Syrian State TV report, is a French made 68mm SNEB rocket, usually fired from rocket pods attached to a variety of helicopters and fixed-wing aircraft, but not the Russia/Soviet aircraft generally used by the Syrian Air Force. 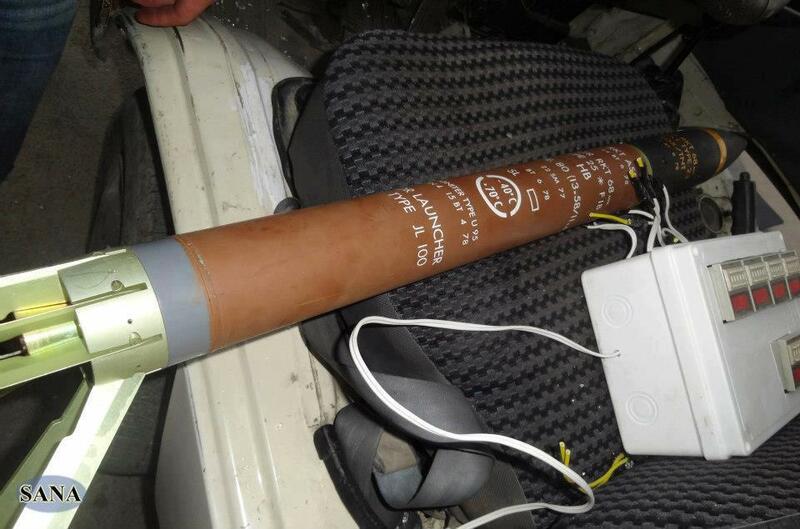 This therefore begs the question of the possible source for these rockets. There have been other recent sightings of these weapons, including this video and this video, and as far as I'm aware there's been no earlier sightings before November 2012, which might imply these are something they've acquired recently. 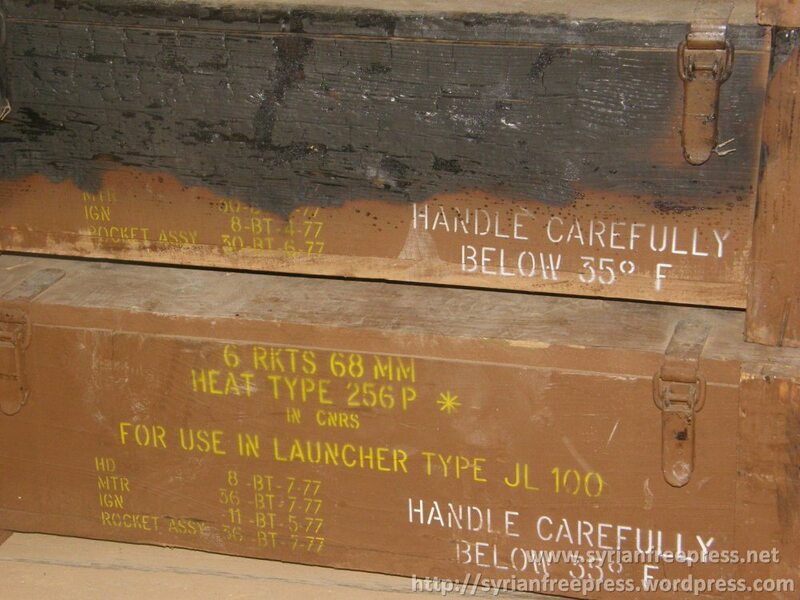 The Syrian Air Force does have French made SA-342 Gazelle helicopters so there's a chance they might have acquired these rockets during there recent advances across the country, but there's been no video evidence of that being the case. 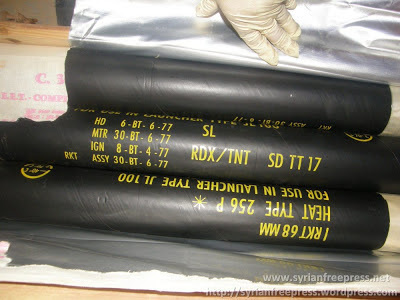 These rockets are used quite widely in the region so the black-market is another possibility, and I'd assume (maybe wrongly) if a regional power was going to send arms to Syria they'd send something that didn't require the construction of a DIY weapons systems to launch it inaccurately at the enemy. With rumours and reports of other cargo vessels bringing weapons to Syria from Libya it seems that this could be another possible source of the rockets. Thanks to Nic R. Jenzen-Jones and Mark Hiznay for additional information. Hey, What kind of rocket is that..?